In 1921, Savage Arms introduced a superb cartridge offering dubbed the .300 Savage. It was specifically designed for the company's incredible Model 99 lever action gun which sported an amazing rotary magazine enabling the use of pointed bullets in a lever-action arm. 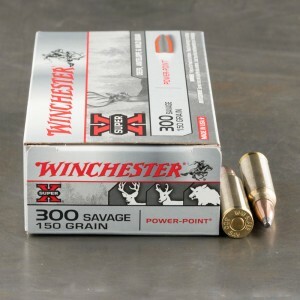 Attempting to approach the ballistic ability of the .30-06 yet in a short-action rifle, the .300 Savage would became one of America's famous deer rifles! This new kid on the block gave hunters a tool that trumped the venerable .30-30 as well as the .30 Remington. 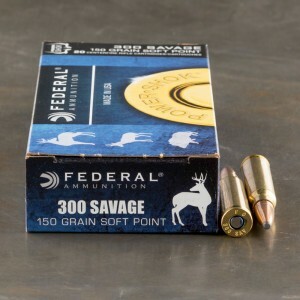 While production has been ended on the 300 Savage, the rifle’s legacy still lives on in one of its famous progenies - the incredible .308 Winchester - for which the .300 Savage served as the parent cartridge. The cartridge is powerful enough to take elk and moose sized animals if the shot placement is excellent! 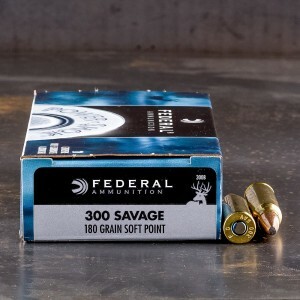 Modern ammunition manufacturers have a number of great offerings in various bullet weights for this classic cartridge.